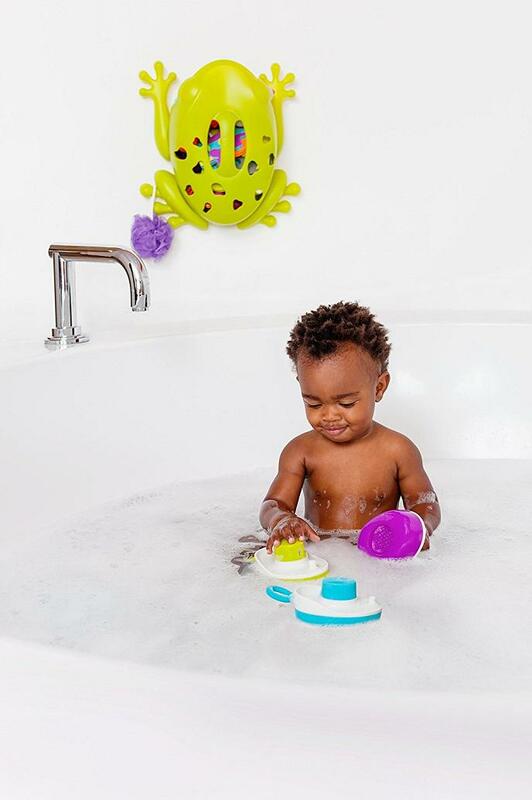 Some kids like playing in water and some don't and bath is no different. Make your kid's bath time more enjoyable with these cool bath toys. Submarine Spray Station: The Submarine Spray Station features a water circulating pump system that attaches to the tub, draws the water up through the submarine to the diver showerhead. It's designed to encourage independent play and exploration. Buy Now. 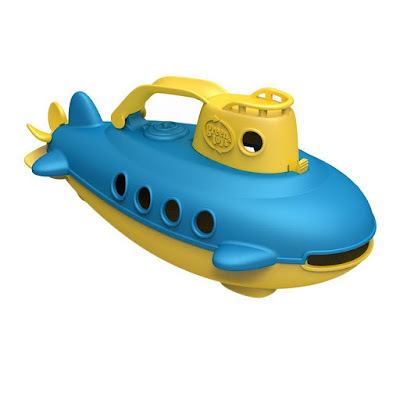 Whistling Bath Boats: The Whistling Bath Boats come in set of three boats, just tap the top of the boats to hear a short whistle tone. Buy Now. Ferry Boat with Mini Cars: The two-story vessel uses the slideout ramp to load up the spacious bottom level, while the open top deck features two small benches on each side, and eleven windows looking down into the main level. It can accommodate up to four Green Toys Mini Vehicles or Fastbacks. The set includes the ferryboat and 2 mini cars. Buy Now. 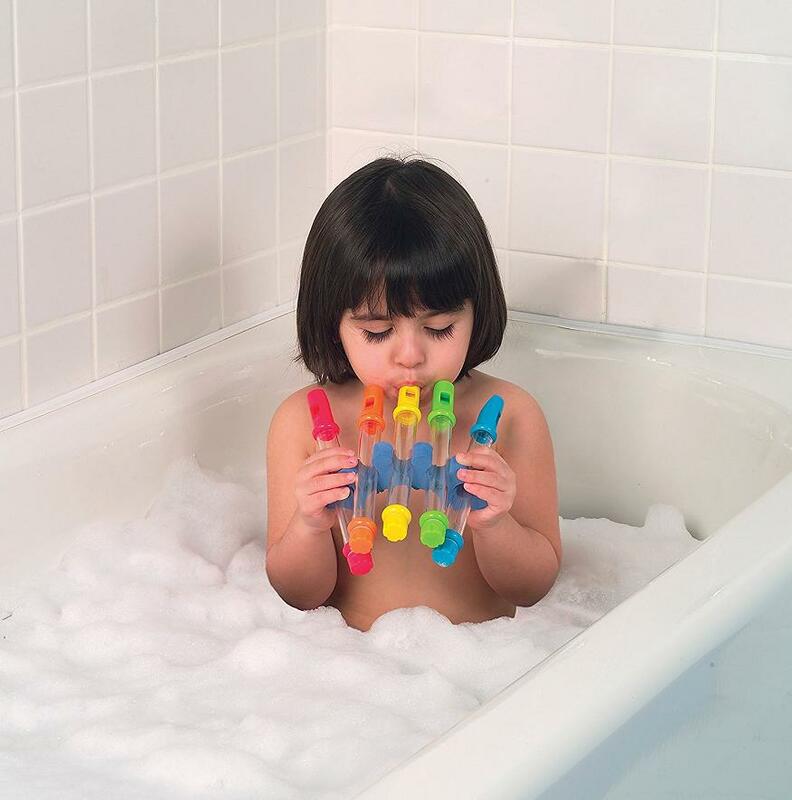 Water Flutes: The Water Flutes allow the kids to make music in the tub. The flutes can be filled with different amounts of water to create different tones. It includes 5 flutes, flute holder and waterproof song sheets. Buy Now. 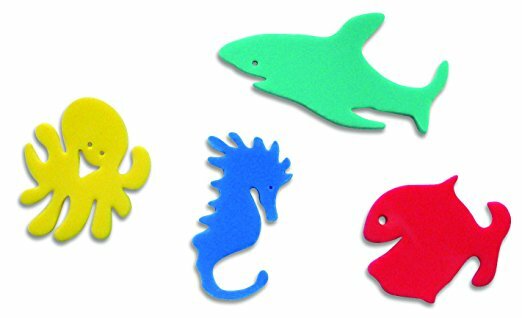 Bath Crayons Set: Kids like drawing and the Bath Crayons Set is just the thing you need to encourage their bath time creativity. What more, it easily washes off. Buy Now. 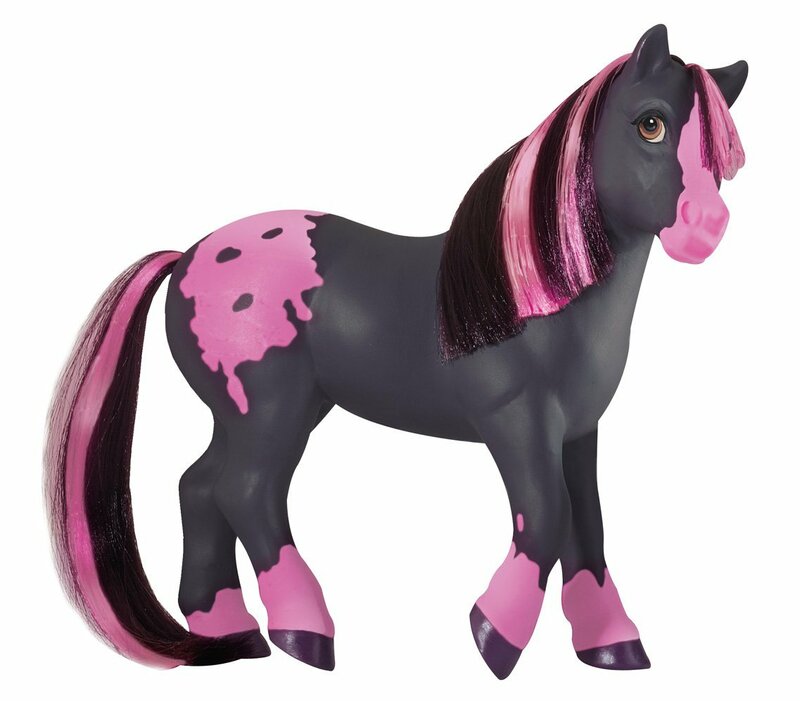 Color Changing Horse: The Color Changing Horse Bath Toy changes color with the water. Its brushable mane, tail and spots on body change color from pink to bright white when you put her in water. Buy Now. 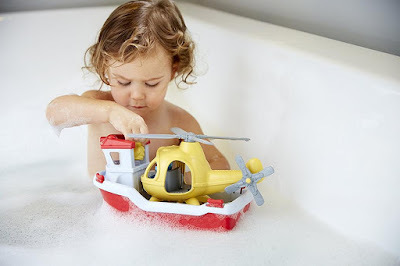 Boat with Helicopter: The Boat with Helicopter consists of boat, helicopter, Captain Duck and Pilot Bear that takes the kid's imagination to the next level. Buy Now. Whale Bath Toy: The Whale Bath Toy is a hungry whale ready to eat what floats in front of it, all you need to do is squeeze it's tail to open its mouth. It's designed to encourage your kid's hand-eye coordination. Buy Now. 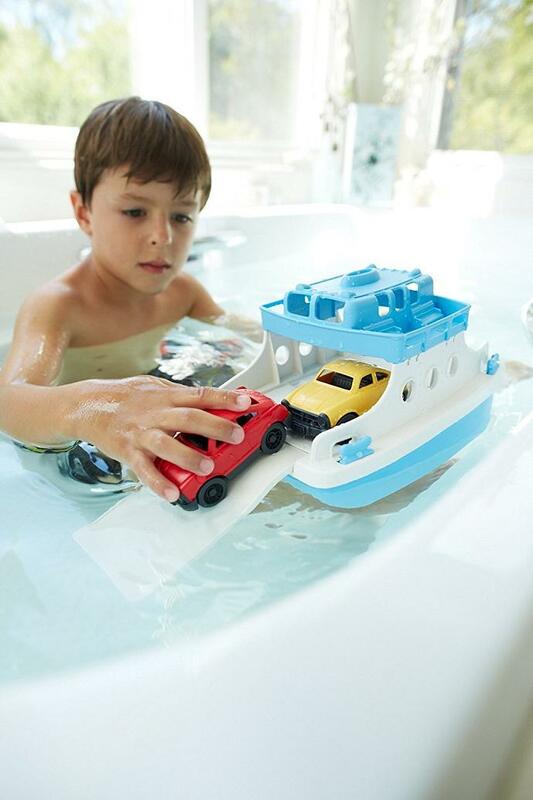 Princesses in the Tub: The Princesses in the Tub lets you transform your tub into a fairytale. It lets you build a 3D floating carriage, jeweled tree island and you can also decorate the wall to look like a royal castle. The set consists of 2 princesses, a frog prince and 47 foam-building pieces. Buy Now. 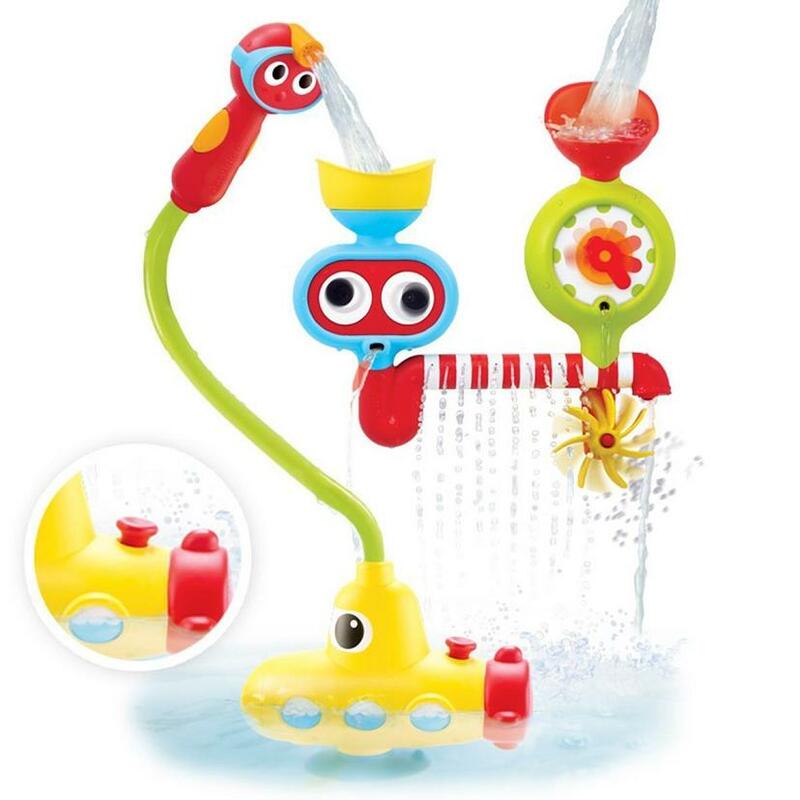 Submarine Bath Toy: The Submarine is just the thing needed for their underwater adventures. Buy Now. 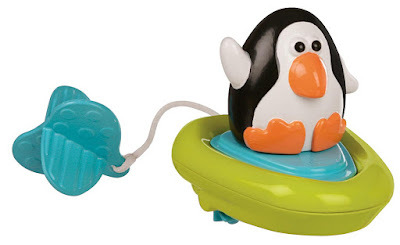 Sassy Pull and Go Boat Bath Toy: The Sassy Pull and Go Boat Bath Toy moves around the bathtub, comes with easy to pull cord to move around. Buy Now. 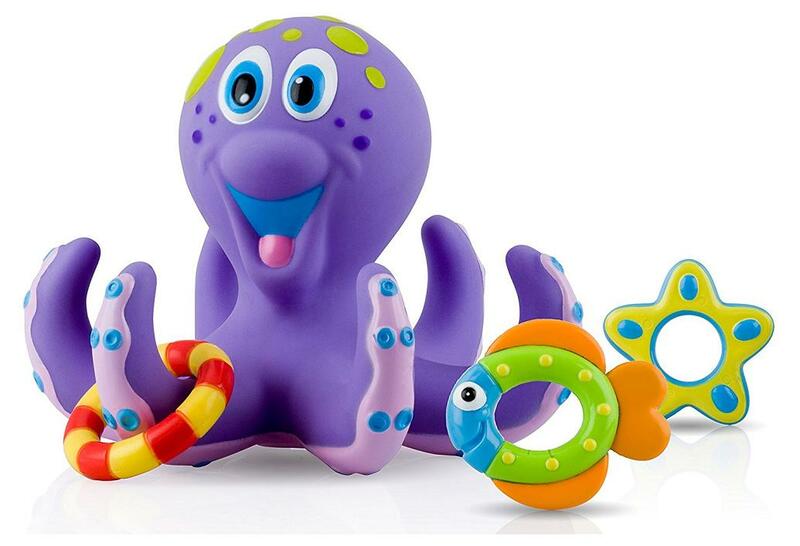 Octopus Hoopla Bath Toy: The Octopus Hoopla Bath Toy is an interactive toy that makes bath time more enjoyable. The cute bath toy comes with one floating octopus and three rings to toss on the octopus' tentacles. Buy Now. 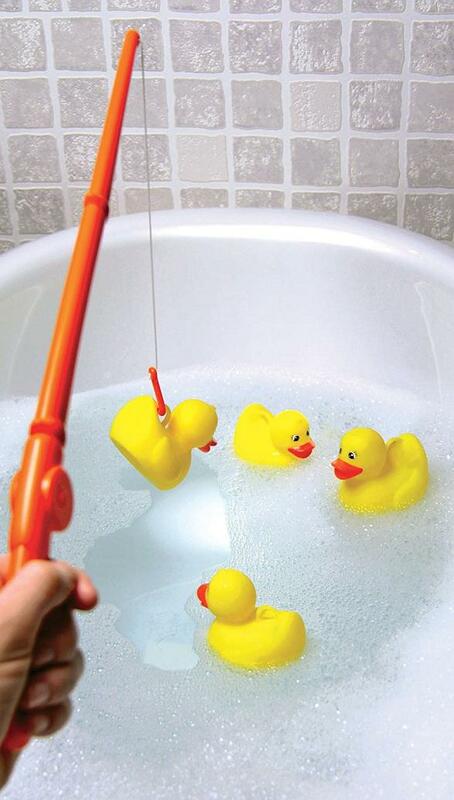 Fish 'N Fun Fishing Set: Do you think kids are going to enjoy fishing while bathing? The fish floats in the water, can be caught on the poll and stuck to any smooth surface. Buy Now. 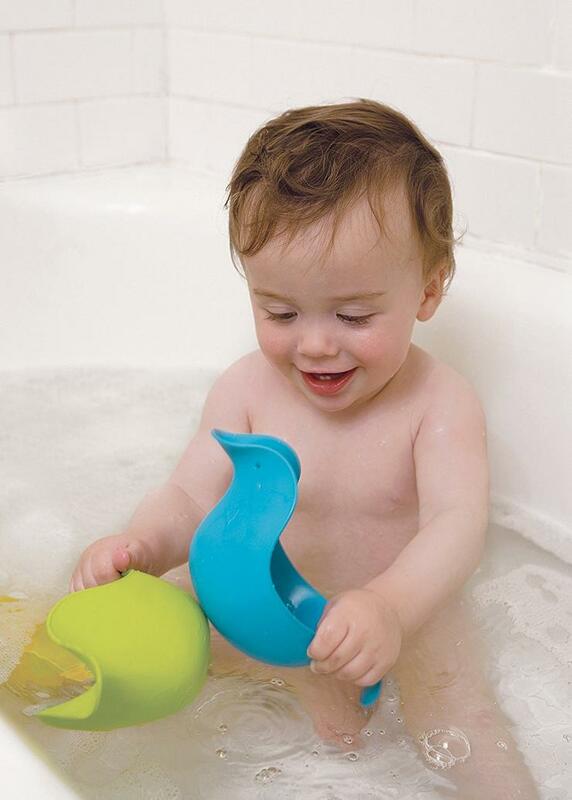 Ducks Bath Toy: These colorful buckets provide endless tub time play, and kids can drain water in a variety of ways with three different sprinkle effects. Buy Now. Hook a Duck Bath Toy: The Hook a Duck Bath Toy makes kid's bath time enjoyable, just place the four rubber ducks in the water and use the hook to catch them. Buy Now.